This wonderful and colourful print of the 208GT/4 originates from the Ferrari production portfolio 136/77 and was issued in 1977. The back side lists the specs in Italian, French & English. The print measures some 12 x 8 inches or some 30 x 20 cm. 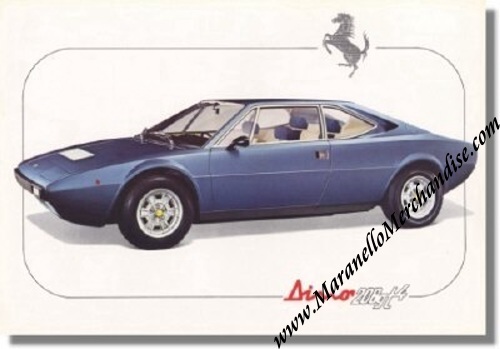 No Ferrari Print Number but originates from portfolio # 136/77.